Lesbian protagonists are far from common in Italian films, which makes Maria Sole Tognazzi’s Me, Myself & Her a trailblazer of sorts, albeit one that renders serious relationship issues in a charmingly humorous and universally watchable fashion. Having spent five years together, Marina (Sabrina Ferilli, The Great Beauty, LIFF 13) and Federica (Margherita Buy, Mia Madre, LIFF 15) are, basically, like an old married couple. But whereas former actress-turned-restaurateur Marina is totally at ease with her sexuality, architect Federica can’t ignore her heterosexual past or the opinion of others. Consequently, the bounds of their relationship get properly tested when a man enters the equation. With its travel-brochure depiction of Italy and this attractive couple’s aspirational lifestyle, Me, Myself & Her creates a cinematic world that is easy on the eye. This irresistible romance is as refreshing as a Mediterranean vacation. 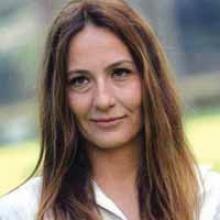 Born in Rome in 1971, Maria Sole Tognazzi is a multi award-winning director who is known for Past Perfect (2003), Ritratto di mio padre (2010) and previous festival highlights The Man Who Loves (LIFF 2009), and A Five Star Life (LIFF 2014). Me, Myself & Her is her seventh film. Copyright 2016 © Lavazza Italian Film Festival.